GALION — Although Mother Nature can not make a decision about whether it’s winter, spring, summer or fall, the high school sports calendar is pretty clear on the subject. The winter sports season is definitely drawing to a close. 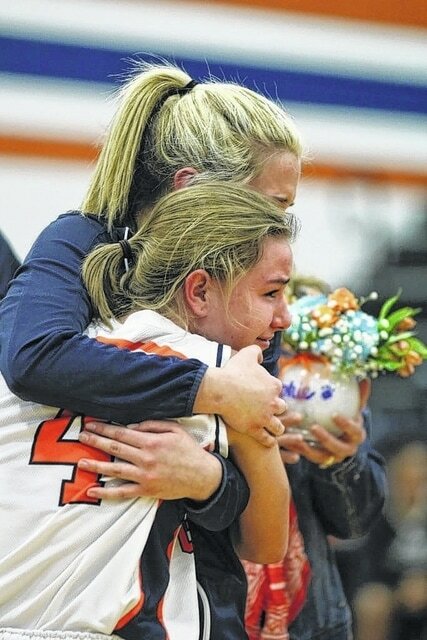 Galion’s girls basketball team ended it’s regular season last weekend. And in the process says good bye to their seniors. The Lady Tigers start the tournament trail next week. Swimmers from Galion and Colonel Crawford had a lot of success on Saturday at Malabar Middle School during the sectional swim meet. Galion’s boys team won a team title and combined, the two squads will send more than 20 swimmers to the district meet at Bowling Green State University, which begins Friday. Galion’s bowling teams just competed in their first — and last — Mid-Ohio Athletic Conference title. Their league changes next year, plus this was the first year the Tigers actually fielded OHSAA-sanctioned boys and girls bowling teams. The wrestling teams at Galion and Northmor also are getting in their final meets in preparation for the state tournament run. While state team titles are not likely in the offing for either team, several local wrestlers have a very good chance at advancing once the tournament trail begins. All area girls team are prepping for the sectional tournaments. Boys basketball teams in the area are doing the same. Their tournament draws were announced this week, and you will be able to find the online at www.galioninquirer.com. The same goes for the girls tournament schedule for area teams and their post-season play begins a week after the high school girls do. Area track teams are already out and about prepping for their seasons. At least there were a lot of high school athlete running around the Heise Park track on Monday. Softball and baseball are not long to follow, as well as the second-half of the high school tennis season. So, if you’re ready to get out and about and enjoy some outdoor high school sports, that time is fast approaching … or maybe not if Mother Nature continues her fickle ways. Email Russ Kent with comments or story ideas at rkent@civitasmedia.com.